OMG has a lovely self-ad which goes "good things come to those who advertise". Indeed they do - as I said it before - bad market times are the best way for brands to remain top of mind with consumers (seems though brands are cutting down budgets globally). 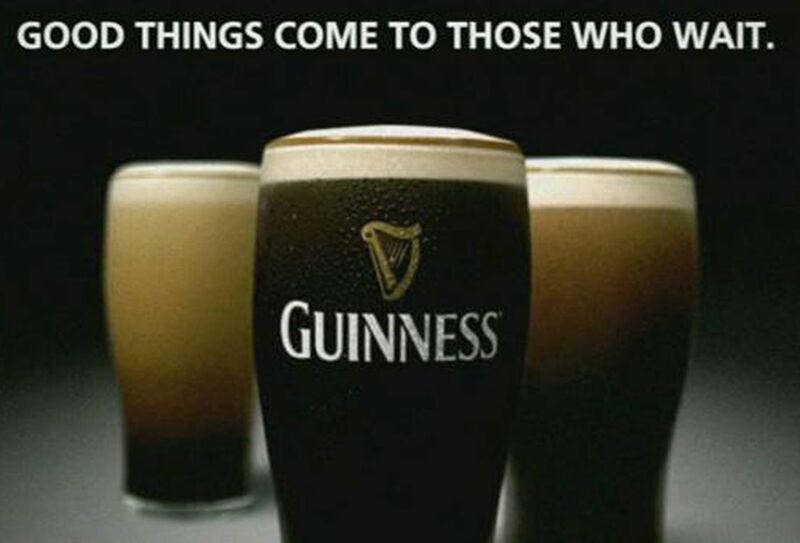 Not sure if OMG meant it or not, but this is a reminder of the classic Guinness advertising: "Good things come to those who wait"